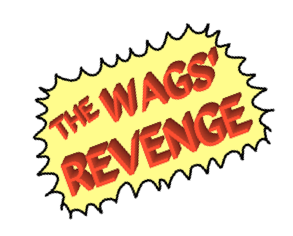 THE WAGS’ REVENGE is unlike any TV dating show you’ve ever seen. Every episode has a winning couple, but it’s the rejected girls who are in control. They’re furious with the guys who didn’t think they were good enough to be dated … so now those girls want to inflict an astonishing revenge on the poor guys! But, like all love stories, there’s a happy ending!